In just under two weeks, Lenovo is going to unveil the next Moto phone, a phone we are fully expecting to be called the Moto Z at this point. Previous reports have suggested that it will attempt the modular thing with back plates, called MotoMods, that may be much more user-friendly and flexible in terms of potential than what LG tried with the G5. 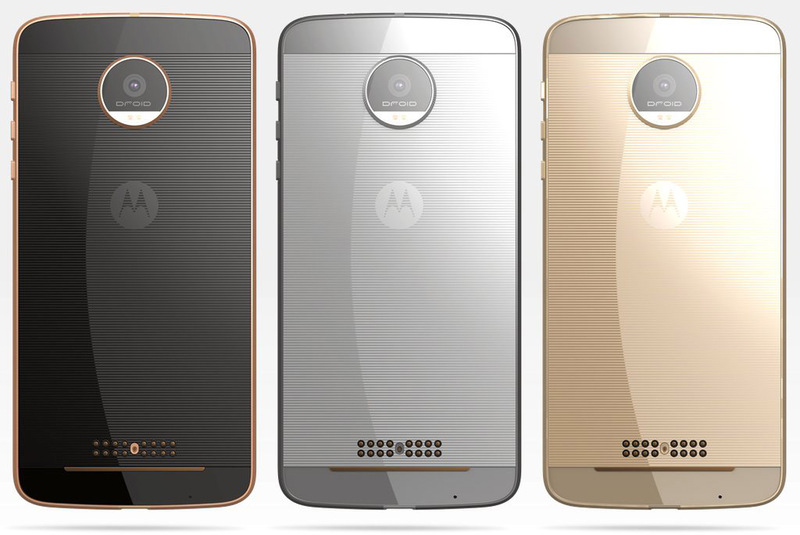 We may also see that same Moto Z phone as a DROID Edition, though there is no certainty that it will show up an Lenovo Tech World on June 9. 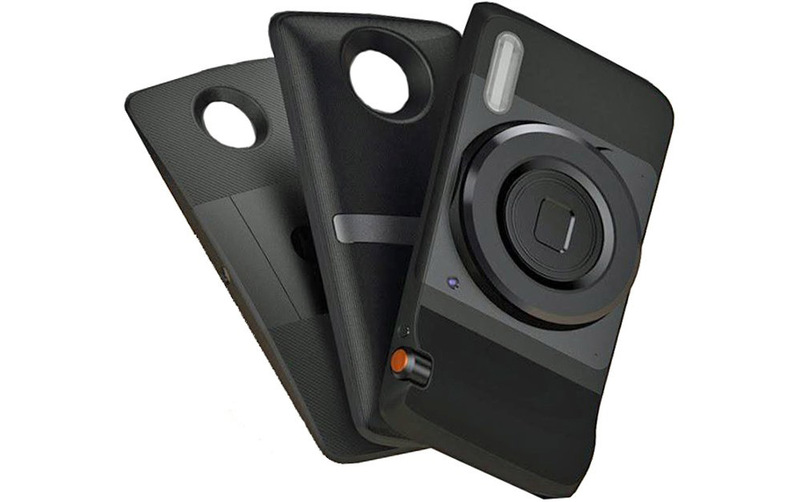 This morning (well, last night to be exact), we are getting a fresh look at the Moto Z in DROID Edition form, along with a first look at three of the MotoMod modules. In the image above, we can see “DROID” branding on the camera housing, which is really the only differentiator from this phone and the standard Moto Z. Well, there is always a chance that the DROID Edition will get exclusive colorways (like these heavily gold plated models), but the shape and size, along with the rear pin placements for MotoMod connecting appear to be identical. A previous report suggested that Lenovo would simplify their line this year, by just branding the flagship Moto Z as a DROID Edition, instead of pushing out the Moto Z and then creating an all new phone (like previous DROID Turbo devices) to be sold at Verizon under the DROID name. This is yet more evidence of that happening. But what about those MotoMod modules. Well, here are three of them. UPDATE: According to @evleaks, what we have here is (from back to front) a projector, JBL speaker, and Hasselblad camera. In case you were wondering, yes these apply right onto the back of the phone. The idea here is that the ultra thin body of the Moto Z can be expanded upon by slapping or snapping these modules across the entire back. A current or magnet of some sort will hold these MotoMod modules in place through the sets of pins seen on the back. This could make for quickly swappable modules and might actually be a great implementation. And I can’t believe I’m admitting this, but damn, this phone is growing on me.